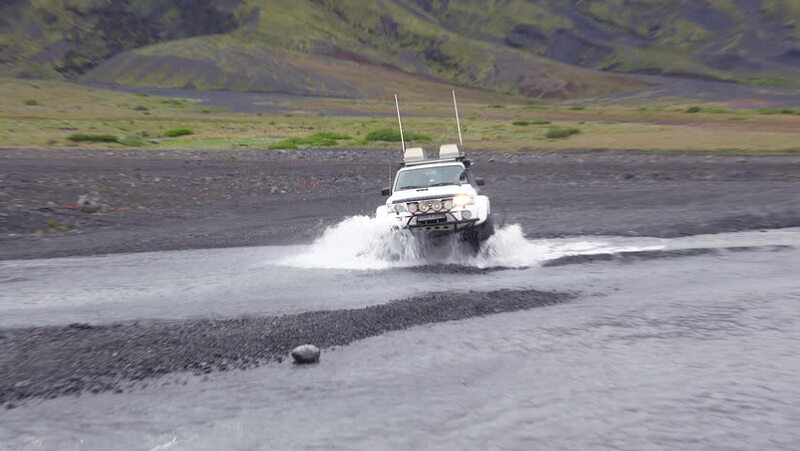 ICELAND - CIRCA 2018 - A 4WD Toyota Land cruiser drives through a river in the remopte highlands of Iceland near Thorsmork. 4k00:08Hong Kong, China - Apr 3, 2017: A ferry running on the sea in Hong Kong, China. hd00:22GUILIN, CHINA - CIRCA 2009: Li river boat traffic and Karst Mountains. hd00:12Ferry are moving fast in Istanbul, Turkey.